MY TRAJECTORY as a historian of the Chinese book has been a long and winding one. My interest in the traditional Chinese humanities began, rather accidentally, about two decades ago, when I was serving as an editor in Chinese history and archaeology for a Beijing-based publisher. This was an opportunity to engage with masterpieces in the Chinese humanities, to think about their comparison with European language works, and to consider how I could model my own projects on the finest works from both traditions. Wild commercialization in the 1990s challenged scholarly publishing and my own career as an editor in mainland China. I decided to shift my interest in “humanities scholarship” from professional publishing to an academia. I started it in 2002 at the University of British Columbia (UBC) in Vancouver, Canada, one of the premiere institutions for the study of East Asia in North America. Given my past career as a book editor, I thought I would segue to studying the history of the book, my first—but not last—field of scholarly inquiry. My intellectual world continued to evolve at UBC. I came to realize how deeply I have been influenced by the critical theories and multicultural studies developed from the 1960s through the 1980s which questioned the value of classical canons and humanities education, and ultimately eroded the former primacy of the humanities. At the same time, I was drawn by the wisdom of such thinkers as Edward Said (2004) and Martha Nussbaum (2010) who attempted to emphasize the critical importance of the humanities to current civilization. For thousands of years, as these and other thinkers argued, science and the humanities had never been separate from each other: exploring the natural world and examining the human mind had been considered the same scholarly pursuit. In both the past and the present, aspects of the humanistic tradition have shaped people’s daily lives just as have scientific advances and new technologies. The ancient Chinese texts also confirm such a combination between understanding of the natural world and that of the human mind. Ideally, Confucian scholars would attempt to know everything around them. The tradition of the Chinese humanities had dominated elite scholarly activities until the subversive challenge by the modern European knowledge system. In terms of the critical importance that Said and Nussbaum reiterate, the traditional Chinese humanities undoubtedly developed the Chinese people’s self-knowledge, morality, imagination, and historical and social consciousness, and ensured the Chinese society in order and the continuity of Chinese culture. By the nineteenth century, however, the conceptual distinction between science and humanities was further elaborated by such thinkers as Wilhelm Dilthey (1833 – 1911) and Wilhelm Windelband (1848 – 1915). This dichotomy occluded the ways humanists have historically tried to solve both abstract and concrete problems and to explore both general laws and their particular manifestations in the nature and human world. A historical examination of humanistic activities, their products and contributions, therefore, would ideally disclose the value of the humanities in a fruitful and illuminating way, just as historians of science have done with the value of science. If done correctly, it would also make it possible to perceive “meta-patterns,” that is, super-patterns across disciplines, regions, and cultures (Bod 2013). The text is the main form of humanistic material, and textual practice is the main form of humanistic activity. Because of this textuality, any humanistic material can be described and analyzed as a “bibliographical document” of physical and textual features. This is precisely the essence of Anglo-American analytical bibliography. The Chinese bibliographical tradition, in particular the banben xue 版本學 (studies of editions), shuhua mulu 書畫目錄 (catalogs of painting and calligraphy), and jinshi xue 金石學 (studies of bronze vessels and epigraphs), played a similar role in the humanities. Bibliography provides the scheme of classifying and organizing knowledge, and is an approach for us to understanding knowledge system. Bibliographical data are vital for historians of the humanities, just as scientific data and artifacts for historians of science, and need to be collected, organized, analyzed, and synthesized. As a historian of the Chinese book, I started my historical survey of humanistic materials by examining pre-modern Chinese bibliographies. These early bibliographies, I soon discovered, lacked a system for describing the physical and textual features of a book in detail. Such a system only was developed by professional Chinese bibliographers in the late nineteenth and early twentieth centuries (Dai 2014). I thus realized that it is necessary to make an archeological study of the books we investigate. Such a study would not only encompass a book’s physical and textual features, but its “concurrent production” and the sociological context within which this production took place—features which most bibliographers and historians of the book ignore. The term “concurrent production” is Oxford analytical bibliographer D. F. McKenzie’s invention, which means that book production is a concurrent work that involves not only the author but booksellers and printers who also give form and meaning to a work (McKenzie 1986 & 2002). McKenzie’s legacy broadens the Anglo-American study of textual meaning beyond the artificial boundaries posited by competing academic fields of literary criticism, bibliography, and history. McKenzie’s theory inspired my case study of the household publication in the society of Ming Hangzhou (Dai 2015). While these publications have conventionally been labelled non-profit-motivated works, I argue that they were “carriers of relationships” and critical components of specific families’ cultural strategies to earn and maintain elite status by publishing carefully selected texts. Household publishing was as strategically important for a gentry family as examination titles, marriage, land, and official titles were. I used bibliographical data to analyze the physical and textual features of the household publications. I also went beyond mere materiality in an effort to probe the motivations behind their publication and their social uses in historical context. The next facet of my study of the history of the book was to explore how meaning was drawn from texts. I therefore extended my concern to the history of reading when I transferred to Oxford to continue my D. Phil program. Originally I intended to research the possible effects of Zhu Xi’s Dushu fa 讀書法 (method of study) in Ming-Qing Confucian elite knowledge acquisition. Zhu’s Dushu fa has been discussed as part of his epistemology by intellectual historians but its reception, practical application, and historical influence have not been studied. The history of reading was a new and challenging field. To prepare my D. Phil research, I surveyed the state of the field in Europe and North America, especially the scholarship in the Anglo-American world. I ultimately wrote a monograph focusing on the theoretical assumptions, methodological principles, and findings of key works in this history of reading (Dai 2017). While historical studies of reading in traditional China of course must ask distinctive questions and solve distinctive problems, this survey helped me clarify two issues. (1) The book is a trinity of form, text, and reading, centered on meaning which requires methodologies drawn from bibliography, literary criticism, and history. (2) Reading is a complex intellectual practice that cannot be reduced to meanings and ideas. In contrast the textual practice of reading helps to illuminate the production of intellectual ideas. I developed this idea during a workshop at the Max Planck Institute for the History of Science in Berlin in 2012 with Anthony Grafton (Princeton University) and Glenn W. Most (Scuola Normale at Pisa / University of Chicago). My contribution to the volume that came out of this workshop with Cambridge University Press discusses how Zhu Xi’s 朱熹 (1130 – 1200) reading of the Analects 1.1 (“Xue er shi xi zhi” 學而時習之) was an expression of his Learning of the Way (Dai 2016). This case study deconstructs Zhu’s commentary on this entry and analyzes his textual practice and techniques. It is in his etymological explanation of key words that Zhu defined concepts and organized them into a philosophical writing. Different from Benjamin Elman’s masterpiece (1984) that examines the social and cultural context of the change from philosophy to philology in the eighteenth-century evidential studies, my study explains the textual mechanism in the transcendence from philology to philosophy in traditional Confucian scholarship. My preliminary studies in the history of the Chinese book, the history of reading, and case studies in textual practice have culminated in my current book-length manuscript Learning to be Learned: Neo-Confucian Knowledge Culture in Late Imperial China. Currently, my research focuses on Neo-Confucian activism from 1200 to 1800 CE. It fundamentally revises conventional understandings of Chinese Neo-Confucians as focused on moral cultivation and local community to the neglect of statecraft knowledge acquisition and the national interests. I argue that Neo-Confucian activism involved both moral self-cultivation and statecraft knowledge acquisition. Its practitioners responded to sociopolitical issues of the time, and redesigned a secular social order according to their understandings of Confucian ideals canonized in the Classics. Their efforts to resolve the tension between self-cultivation and sociopolitical concerns provoked personal crises and intellectual controversies. They nonetheless remained committed to the resolution of this tension in their relations to the imperial power that elevated Neo-Confucian moral philosophy as state ideology to justify political legitimacy. The tension between moralism and intellectualism came to end in the seventeenth century with the failure of moralism in dealing with sociopolitical crises and the return to intellectualism based on book learning and statecraft tradition. Ultimately, it was not moralism, but intellectualism that was foregrounded in Neo-Confucian knowledge culture. This hypothesis is further supported by Confucian scholar and official Qiu Jun 丘濬 (1418 – 1495), the protagonist of a collective project I am involved in. Qiu made a comprehensive outline of Zhu Xi’s learning that would guide his compilation of the Daxue yanyi bu 大學衍義補 (Supplement to the Explication of the Great Learning. 1488). In this statecraft compendium, Qiu attempted to deal with the social and political crises facing the Ming court in the fifteenth century. He derived his specific policy proposals and general principles from the knowledge horizon that combined both moral cultivation and statecraft knowledge. Moral cultivation was meant to fulfill statecraft duties. So far I have focused my explorations on the concepts of the Chinese humanities. 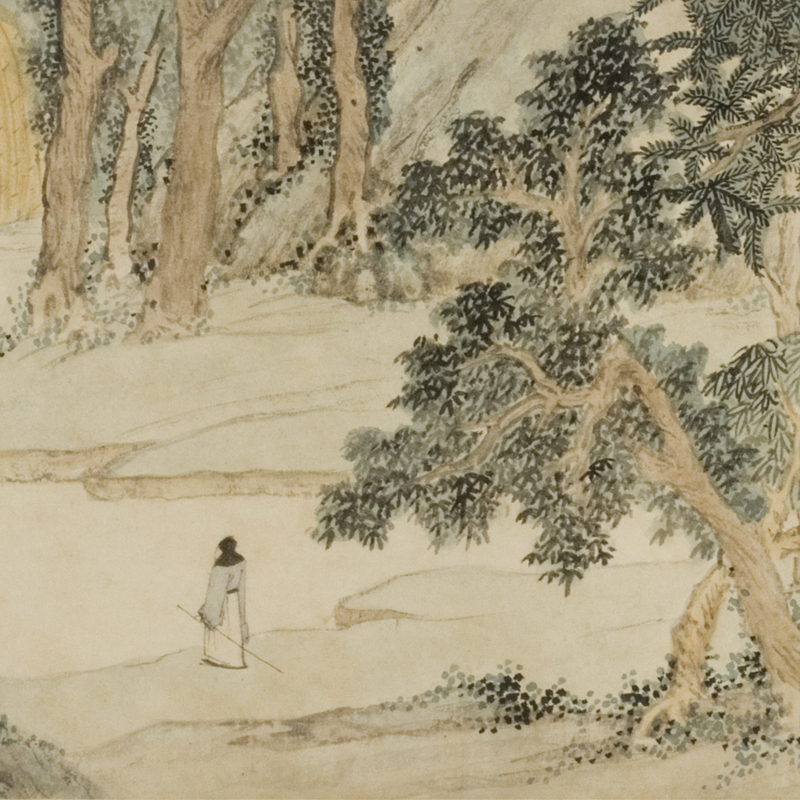 With regards to my own future research plans, I aim to go beyond the conceptual dimension of the Chinese humanities tradition in focusing on a case study of the humanistic activities of Fang Yizhi 方以智 (1611 – 1671) and his sons. The Fang family developed a long cultural tradition while remaining open to encounters with European traditions at a critical historical moment. Unraveling their story will be an opportunity for me to further explore my interests in the history of the Chinese humanities, its textual materiality, and its situatedness in a broader world of practices and ideas. The history of the humanities is a relatively new field, and more work needs to be done to establish it as a separate discipline. In the past thousands of years, the understanding of the human mind was integrated with that of the natural world, and those who undertook these missions were called “scholars.” Those professionals we call “scientists” today had not come to being until the eighteenth century. Historically speaking, the humanities gave birth to science. Now, we are witnessing and benefiting from the prosperity of science and technology, but our lives are more than those exciting achievements and inventions. We need to understand ourselves, our families, communities, and traditions. We need music, dance, and movies. We need historical and social consciousness. And we need to learn how to be good citizens. Artificial intelligence will make our lives much easier. Will it make us to live more wisely and happily? I do not know, but I am sure that the humanities and the tradition of the humanities can teach us more wisdom of life. Barthes, Roland. 1977. Image, Music, Text. Translated by Stephen Heath. London: Fontana. Bod, Rens. 2013. A New History of the Humanities: The Search for Principles and Patterns from Antiquity to the Present. Oxford, UK: Oxford University Press. Dai, Lianbin. 2008. “The Economics of the Jiaxing Edition of the Buddhist Tripitaka.” T’oung Pao 94 (4–5): 306–59. ———. 2014. “China’s Bibliographic Tradition and the History of the Book.” Book History, no. 17: 1–50. ———. 2015. “Household Publications in the Society of Ming Hangzhou.” In Imprimer sans Profit? Le Livre Non Commercial Dans La Chine Impériale, edited by Michela Bussotti and Jean Pierre Drège, 339–414. Genève: Librairie Droz. ———. 2016. “From Philology to Philosophy: Zhu Xi (1130 – 1200) as a Reader-Annotator.” In Canonical Texts and Scholarly Practices: A Global Comparative Approach, edited by Anthony Grafton and Glenn W. Most, 136–63. Cambridge, England: Cambridge University Press. ———. 2017. Cong shuji shi dao yuedu shi: yuedu shi yanjiu lilun yu fangfa 从书籍史到阅读史：阅读史研究理论与方法. Beijing: Xinxing chubanshe. Elman, Benjamin. 1984. From Philosophy to Philology: Intellectual and Social Aspects of Change in Late Imperial China. Cambridge: Council on East Asian Studies, Harvard University. Dilthey, Wilhelm. 1989. Introduction to the Human Sciences. Edited by Rudolf A. Makkreel and Frithjof Rodi. Princeton, N.J.: Princeton University Press. Kristeller, Paul Oskar. 1944. “Humanism and Scholasticism in the Italian Renaissance.” Byzantion, no. 17 (1945): 346–74. McKenzie, D. F. 1986. Bibliography and the Sociology of Texts. London: British Library. ———. 2002. Making Meaning: “Printers of the Mind” and Other Essays. Edited by Peter D. McDonald and Michael Felix Suarez. Amherst: University Of Massachusetts Press. Nussbaum, Martha C. 2010. Not for Profit: Why Democracy Needs the Humanities. Princeton, N.J.: Princeton University Press. Said, Edward W. 2004. Humanism and Democratic Criticism. New York: Columbia University Press. Wilhelm, Richard, and Cary F. Baynes, trans. 1967. The I Ching; or, Book of Changes. Princeton, N.J.: Princeton University Press.